There is a distinct Irish music thing going on, for me it started a while ago with the mesmerically wonderful Halves which took me to Enemies, We Arrive Alive, Overhead the Albatross and the other bands on the roster of the fine Dublin based Eleven Eleven Label. 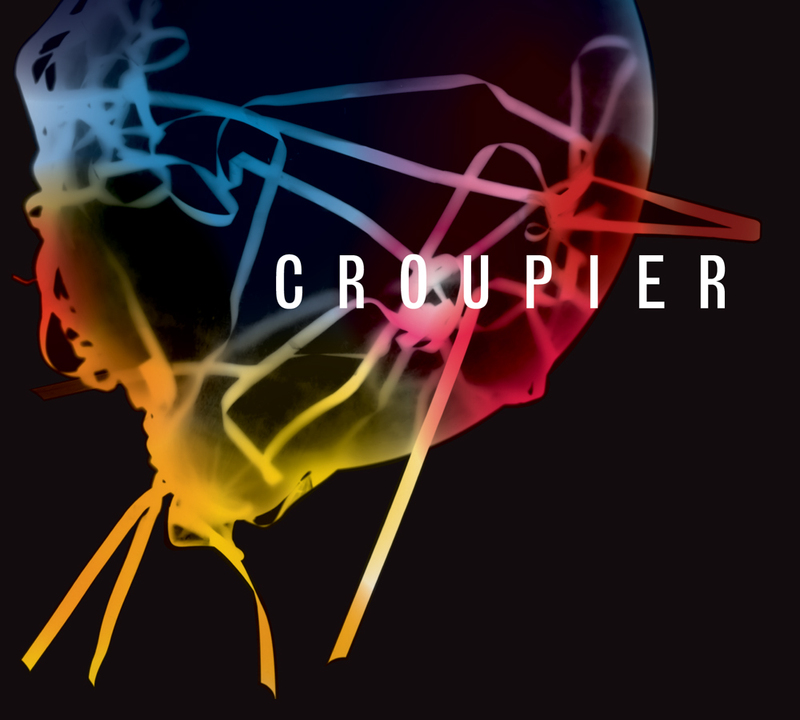 Indeed it is Eleven Eleven, and Square D Management, that has brought these latest chaps to my attention, a bunch of roister boisterers from Wicklow named Croupier whose self titled album is released onto an unsuspecting world this August 24th. The band is made up of Charlie Mooney (Guitar/Vocals), Harry Burton (Keyboard/Piano/Vocals), Niall O’Kelly (Drums), Oisín Murphy (Vocals/Guitar) and Rob Reid (Bass). This whole clutch of talent have taken the sometime overworked post-rock thing and done something else with it, indied it up a little, made sure the melody thing is never far from your ears, and produced exciting music that drags me from my otherwise tendency to go a bit soft and drippy. These Croupier chaps have knocked out a rather splendid debut; some great shouty vocals that still hit the notes (and remind me of my much missed Forward Russia) but underpinned by some rippling bass lines, crisp driving drums and great sounding grumbling and post rock guitar. Indeed it is the predominance of the fine guitar sound that characterises the whole set but with keys and other bits and bobs lifting the sound clear of the predictable. Produced with some excellent clarity and air, a sound that could easily have been all mud and slosh, it comes over spaced and light yet still keeps the insistence of each and every track. It is nothing if not an energetic and vibrant set of songs, with stand out tracks for being such as the excellent Panana and also the closer, Spector. The whole lot can be streamed though Soundcloud of course or played and, more importantly bought, through their Bandcamp site either as a download or a limited edition (500) artefact version. Much like their stable mates who seem not to get this side of the Irish Sea too often, you sense that live Croupier would deliver a fine evening-lets hope we soon get a chance to experience that.